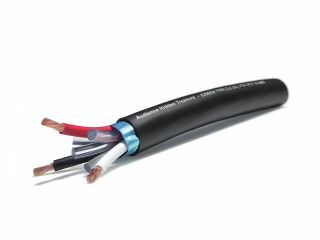 The What: Audience announced the introduction of its Hidden Treasure in-wall power cable, designed to provide AC power delivery in custom-installation audio, multiroom, architectural and other in-wall applications. The What Else: Audience's Hidden Treasure connects from a home's circuit breaker box to the user's audio system. It is UL CL2-approved for use in 120-volt and 220-volt AC in-wall applications. Hidden Treasure is engineered for maximum signal conductivity, durability, and shielding from electrical interference. Hidden Treasure features three 10 AWG stranded 99.9999 percent pure oxygen-free copper (OFC) conductors. The wire is cryogenically treated to relieve stresses that can be imparted to the wire during manufacturing and to re-align the microstructure in the copper for improved conductivity. The conductors are foil-shielded to provide rejection from external electrical noise. The dielectric (insulation) is made from XLPE cross-linked polyethylene insulation with a PVC sleeve for unmatched durability. The Bottom Line: Hidden Treasure is flexible and easy to install and has a diameter of approximately 0.75 inches (18 mm). Audience Hidden Treasure AC power cable is currently available at a suggested retail price of $22 per foot.